THE TURBANS‘ band leader OSHAN finds time in the middle of a huge world tour to share tracks off the record + select influential & inspirational kindred music. 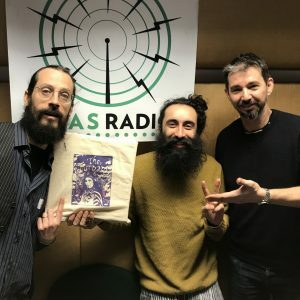 In the words of The Guardian… “The Turbans are a British-based fusion band whose “music from manywhere” switches from the Balkans to the Middle East and from flamenco to North Africa. The best track on their self-titled debut (Six Degrees) is a cheerful love song to Hackney”.